YooLaSunflower, presented by Yale Falk from YooLaDesign. 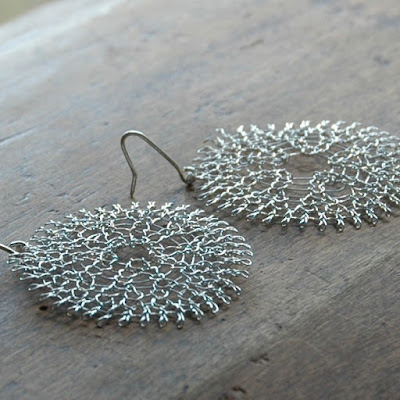 These Chic earrings were born when Yael was exploring one of her pomegranates piece. As all of us know feedback are a very expensive stuff, so when people kept turning Yael's pomegranate art over saying they are fascinated by that side, Yael decided to try and make an item focusing just on that technique as the main feature. The outcome are a pair airy, lightweight yet firm discs. As you can notice Yael'd decided not to put it with a stronger frame. In her opinion this way its uniqueness and it gives it more flowerish touch. If you want to have a piece of this from Yael, it's ready for check out at Yael's Etsy store, Earrings section. 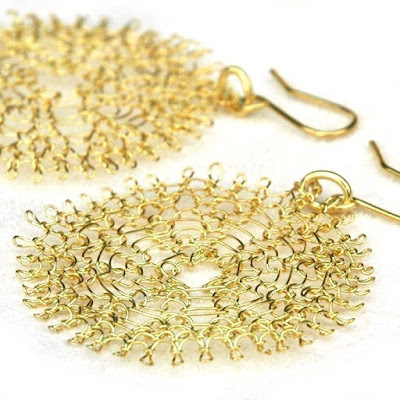 Magical Disc earrings, USD$32 only. 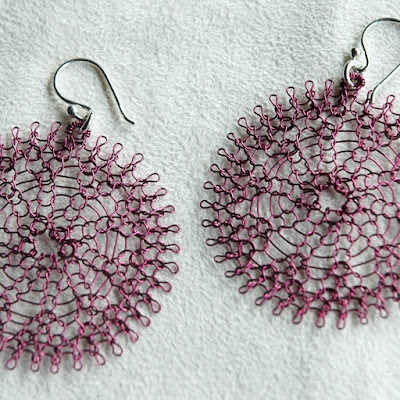 Lavender flower earrings, USD$29 only. 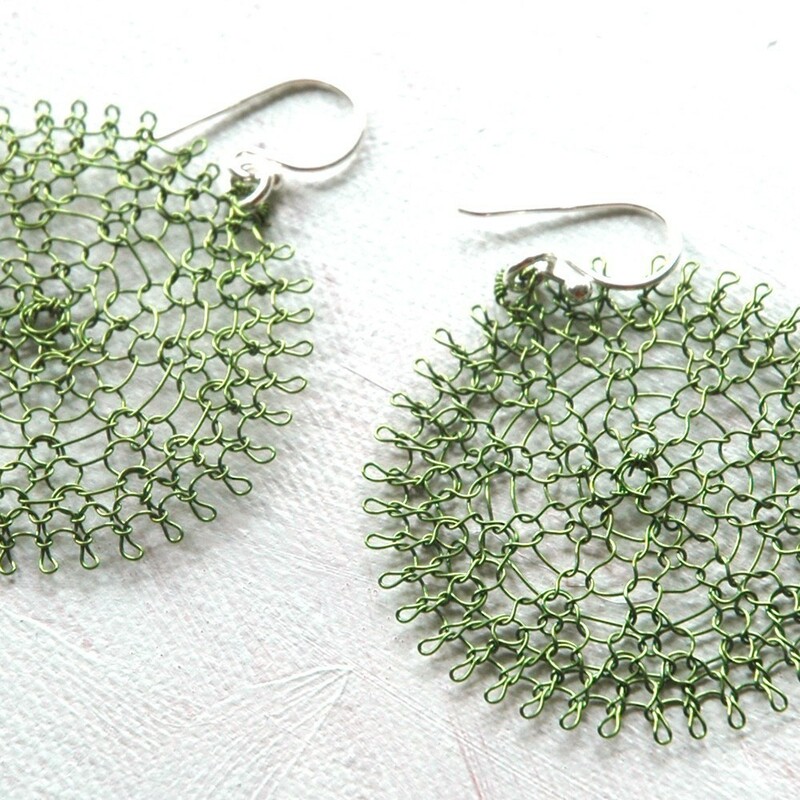 FreshGreen flower earrings, USD$31 only. 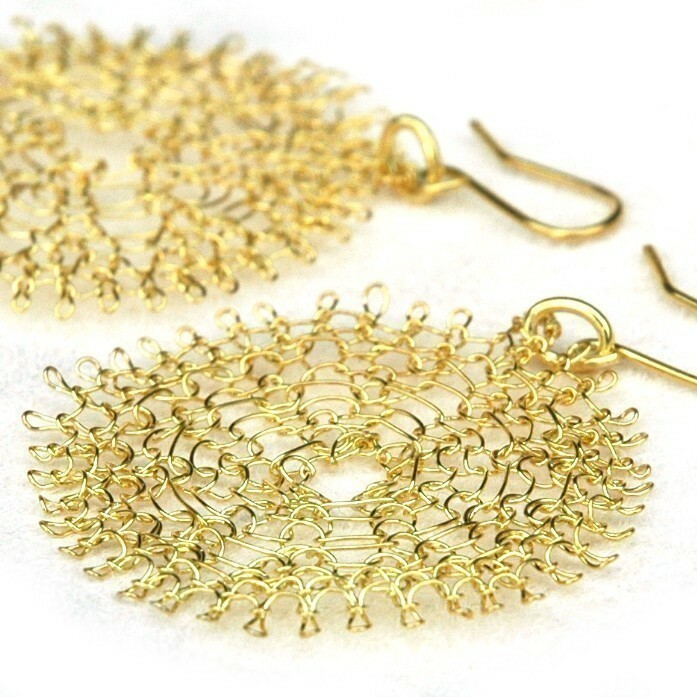 Again, since Yael had just joined us as Guest Artist, her beautifully written's Crocheted Wire Jewelry Tutorials are now on our jewelry tutorial instant download site with 20% discount (T&C applied), we do hope you grab the chance soon.